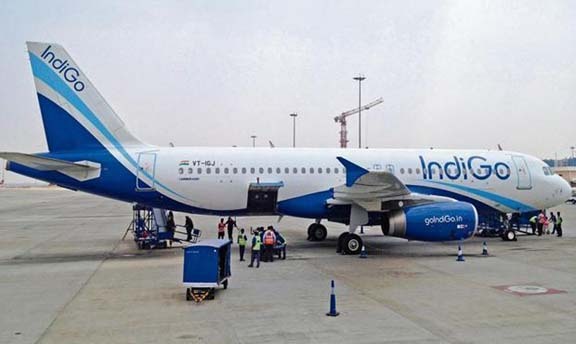 The air passengers of an IndiGo Airlines flight panic due to non-functioning of AC in the flight before it takes off from the Lokpriya Gopinath Bordoloi International (LGBI) Airport in Guwahati on Saturday evening. According to a News 18 report, the passengers complained of breathing problem when the AC of the flight (6E291) did not work for more than 15 minutes prior to its taking off from the Guwahati airport. The flight was bound for Kolkata. In the video, published by the news channel, a passenger is seen saying that even after waiting for more than 15 minutes the AC was not working. The passenger also asked the crew members to open the door of the flight so that the passengers can at least take breathe. Saying that they were ready to wait for more some minutes, the passenger questioned who would take responsibility if anything happens to anyone. In the video, a child was also heard crying perhaps due to breathing trouble. The flight, which was supposed to take off at 5:55 pm from LGI Airport and land at Kolkata Airport at 7:20 pm, got delayed for around one hour. Meanwhile, as per an Economic Times report, budget airline IndiGo has approached the Reserve Bank of India (RBI) seeking relaxation in foreign exchange norms regarding use of Indian rupees for onboard sales in international flights. During the ongoing session, the Union minister of state for Finance and Shipping, Pon Radhakrishnan on Friday told the Lok Sabha that an appropriate decision on the matter would be taken by RBI after due process. Minister Radhakrishnan in a written reply said the RBI has received an application from IndiGo to effect in-flight sales in Indian rupees on its international flights.